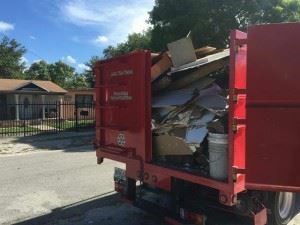 Providing the Chicago West Suburbs area with professional, fast and eco-friendly junk removal services. When Junk King says they going to do all the work they mean that quite literally. You should never feel guilty about asking them to remove any heavy object even if that includes climbing up and down stairs. Don’t bring anything down to the front lawn. Let Junk King do all the heavy lifting. In some instances, it is hard to let go of the things you have around your house. With Junk King Chicago West on the job, you can be assured that what you’re giving away can find its way into being used again. Most of what they collect that is usable will be dropped off at a local charity. Don’t ever think of your junk getting trashed with Junk King Chicago West on the job. Are you ready for fast junk removal? Then you’re ready to hire Junk King Chicago West. This entry was posted in Carol Stream Junk Removal and tagged junk king, junk removal, reviews on September 30, 2017 by Junk King. Last updated October 1, 2017 .